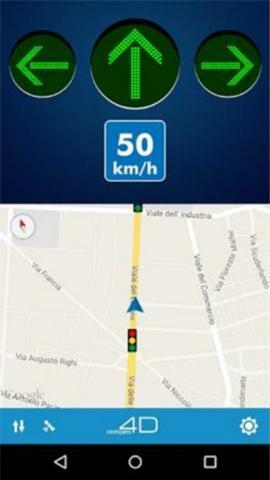 Connected Driving with Traffic Light Forecast. Connected Vehicles are on their way to becoming the next technological revolution. Given the massive amount of co-operative services that the connected vehicle will enable, its impact will be felt across the entire traffic and transport universe. There is clearly a need for new services and co-operative solutions which aim at helping drivers to complete their journey in a more convenient and safer way, at the same time improving overall road safety, the efficiency of the mobility network and urban quality of life. Connected Driving (also known as C-ITS and V2X) allows vehicles to communicate with each other (V2V, vehicle-to-vehicle) and with the infrastructure (V2I, vehicle-to-infrastructure), to increase driver awareness about the road environment through the means of innovative services related to specific situations including dangers on the road, unexpected manoeuvres or traffic lights status. Traffic light forecast is a service that improves safety and convenvience for drivers by assisting them at intersections. This includes services like Time To Green (TTG), which provides real time information about the traffic light cycles, and Green Light Optimised Speed Advisory (GLOSA), which calculates the optimum approach speed to get a green light at the upcoming intersection. Traffic Light Forecast service can be deployed in all traditional traffic control centres for signalised intersections capable of providing real-time signal feedback data or operating according to fixed and known timings (i.e. time dependant plan selection and fixed time control). Traffic Light Forecast service can be deployed in TMaaS and hosted solutions for signalised intersections capable of providing real-time signal feedback data or operating according to fixed and known timings (i.e. time dependant plan selection and fixed time control). 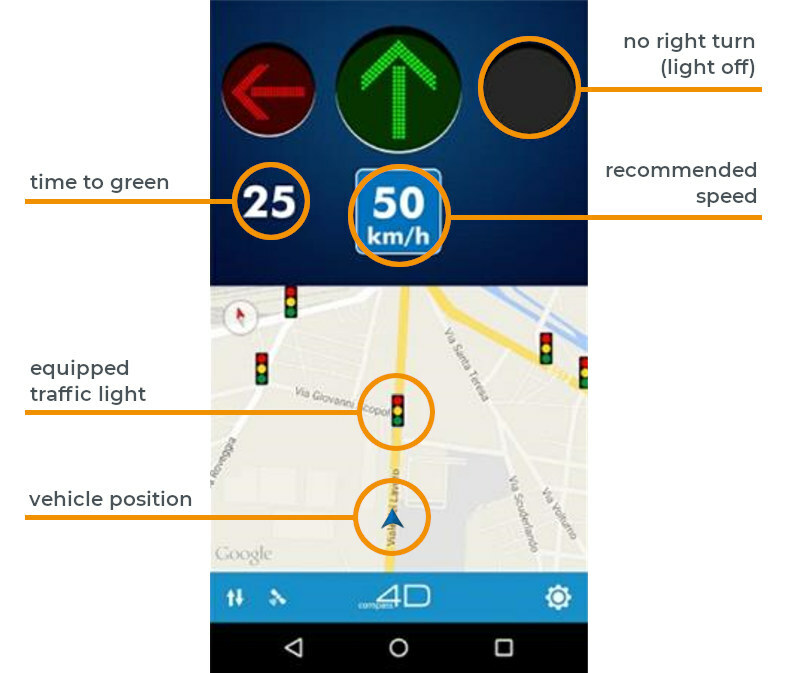 Traffic Light Forecast service offers open protocols that can be used to run the service for signalised intersections operated by SWARCO as well as signalised intersections operated by third parties. Current Traffic Light Forecast release fully supports the interface to OMNIA and HERE as well as OEM backends from car manufacturers (Audi, Volvo).